A very functional eco-friendly bag, the Wayks One expands and compresses into multiple different functions, making it a great bag for daily and travel use. Super sustainable, eco friendly materials and build. Materials made from plastic water bottles, bluesign approved and worker-conscious factories. Very comfortable harness. It’s actually removable too. Lots of capacity — expands up to 37L. Rolltops are great, but also sometimes not that great. Zip-on boot compartment — insulated to keep things cold, camera cube insert, suitable for packing stuff. Lots of external access — two big side pockets with inner divider, quick access pocket, security pocket. Clamshell opening — easy-ish to get stuff in and out and keep things organized. But ultimately can be a pain to open up. The Dayfarer backpack is one designer's take on the perfect bag for work and gym. 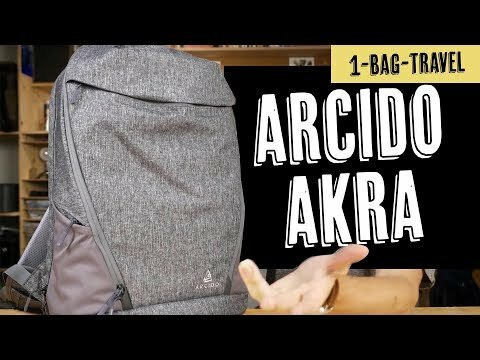 The Akra backpack from Arcido is designed to be a minimal travel bag with plenty of organization and pockets. It does the trick! It's a lightweight bag with some interesting hidden pockets and quick access pockets. One of the highest rated daily backpacks in the world due to it's accessibility, organization, comfort and capacity. Stick to it for some time and you'll see what we mean. Dad-bag looks tho. 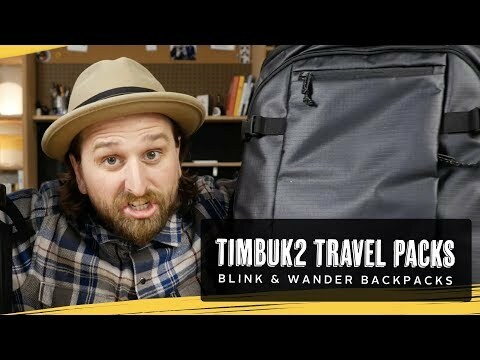 The Blink & Wander packs from Timbuk2 are tough, rigid little numbers for travel with unfortunately weak feeling zippers.